I could probably write a 3000 word missive about Connecticut’s two MASSIVE casinos and their real economic effects on the state. But I won’t – most either love them or hate them and my silly blog isn’t going to sway you one way or another. I, however, am fairly ambivalent towards them. I don’t really gamble, as giving money away at the rate of 25 bucks a minute isn’t really my idea of fun. While I fully support the Native American cause, I think gaming to “pay back” the debt is absurd. And the state’s stake in the gaming here is equally absurd; Connecticut collects only 25% of slot revenue (only) from the two behemoth casinos. Mind you, each casino averages about $70-80 million dollars in revenue per month. I’m happy to report that CTMQ has contributed $0.00 to that tally. And that’s just slot revenue; they rake in tens of millions more from table games, of course. 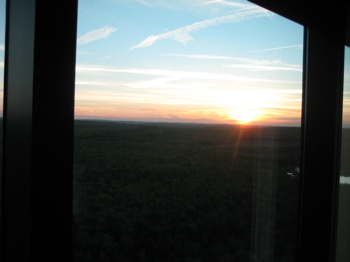 Foxwoods and Mohegan Sun are both located in semi-rural southeastern Connecticut. They continually battle to one-up each other, a tradition dating back to when the tribes were actually tribes and used to kill each other. Now they try to have the most expensive cars and houses… Amazing, isn’t it? So how did this monstrosity come about? 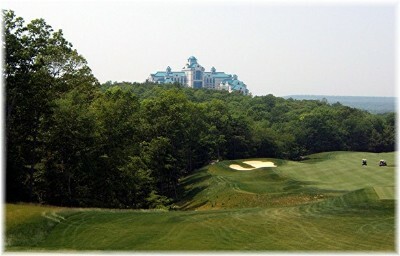 Foxwoods Casino began in spirit, in 1983. During this year, the Pequots began to discuss the viability of an on-reservation Bingo facility. The Manshatucket Pequot Tribal Council agreed to finance such an enterprise, but the State of Connecticut, and its attorney Austin J. McGuigan vowed to fight their attempt. The State threatened to prosecute the Tribe if they attempted to open a Bingo Hall, a move that the Tribe responded to by entering Federal District Court to gain an injunction to end the threats. The whole court struggle called into question issues pertaining to land rights and jurisdiction, specifically, does the State of Connecticut have the right to govern Pequot Nation land? Despite the expected favorable ruling, the Pequots failed to gain the nearly $4 million dollars in loans they need to open the bingo hall. When the favorable ruling finally came, in 1986, the funding came through and the Bingo Hall was born. It quickly became one of the nations most profitable Indian Bingo operations in the nation. It grossed nearly $13 million in 1987, yielding $2.6 million in profits. The revenues continued to grow, yielding over $4.5 million a year and constantly expanding into what finally became the Foxwoods High Stakes Bingo and Casino. This facility, although lacking slot machines, was the only east cost casino offering poker. Its success, in all areas of gaming (roulette, poker, craps, blackjack, and bingo) was unprecedented. The complex also included a museum, a few restaurants, and a retail boutique. This Casino, built adjacent to the old Foxwoods Bingo Hall opened in 1996 was a major attempt by the Mashantucket Pequot to yield significant financial gain from organized gaming. After that, the expansion has been nothing short of insane. Today Foxwoods comprises six casinos that collectively offer more than 7,000 slot machines and an incredible 400 tables for 17 different types of table games, including 100 for poker. There’s a luxurious, high-tech Race Book, as well as the world’s largest Bingo Hall. Foxwoods was at one time the largest casino in the world, with 340,000 square feet of gaming space in a complex that covers 4.7 million square feet. 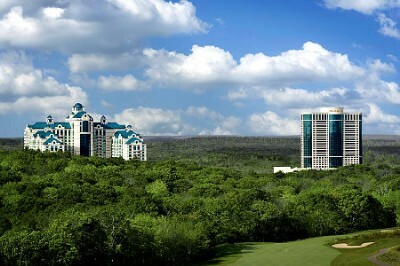 More than 40,000 guests visit Foxwoods each day. Recently, I think a casino in Macau took over the “biggest in the world” title belt and I just passed a billboard for Foxwoods today that read, “Largest casino in North America.” The funny thing about that is, unlike Las Vegas, casino goers here can go back home to New York or Boston in just a couple hours, so the region hardly benefits. In fact, driving to and from Foxwoods one notes that the only thing that has changed, really, is that the roads have all been expanded considerably. That, and there are a ton more Asian markets and merchants – a response to the high percentage of Asian casino workers and money-wasters. 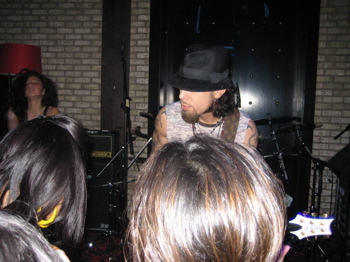 We saw (and got down with) Dave Navarro! So what brought us there? 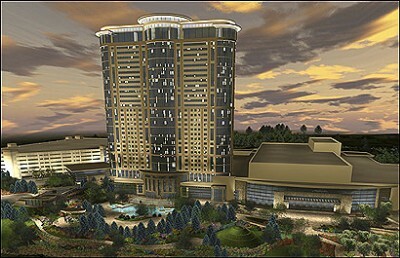 Foxwoods recently unveiled the MGM Grand at Foxwoods, a breathtaking new $700 million development project. 2 million square feet of overall space has been added, featuring significantly increased hotel, entertainment, restaurants and gaming venues as well as enhanced corporate retreat, meeting and convention resources. It was a splashy grand opening and Catherine Zeta Jones even ventured into our state. So, for our fifth anniversary I scored a room at the new MGM and we did nothing more than have a very good dinner (at Shrine) and relax without the hassles of a two-year old. I won’t get into the pathetic service we were greeted with, because we were there on their second weekend; let’s just hope they’ve ironed out those kinks by now. I’ve been to Foxwoods maybe 5 times in my life and all it is is a gigantic, gaudy, tacky massive casino. Even the new MGM rooms, which are higher table limits and “classier” are still filled with the same people in acid washed jeans and tee-shirts with stains on the. Mullets, tails, NASCAR jackets, loafers with no socks, etc fill these places like the plague. Am I being too judgmental? No – these people don’t have the money to be wasting it gambling and the fact that our state condones this – and what has to be the most scratch off ticket games in the country – irks me to say the least. So there you are… my most recent visit to the biggest casino in the world (as measured by floor space for gaming). 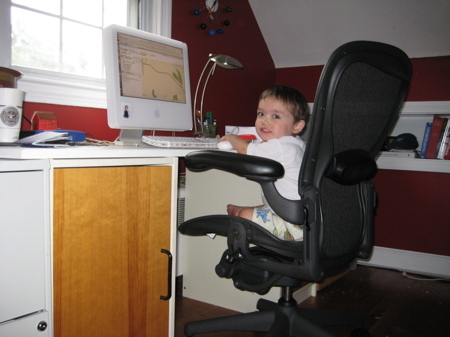 The Herman Miller Aeron Chair… Thanks, baby! the firm where i used to work did a lot of consulting for foxwoods. the head of the department hated the casino people, and would give them the most ridiculous bids hoping they would say she was too expensive, but every time they just ponied up the cash. yeehaw! 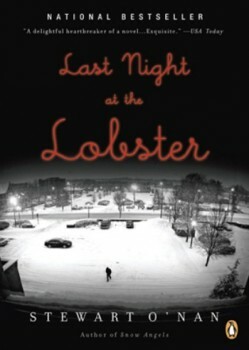 I posted a similar diatribe (I say diatribe in a good way) on my blog, yes the one I never post to. I was there a few months ago, my friend who goes there way too often comped us a bunch of rooms to celebrate his divorce. I gave the Pequots some money, but not as much as some others in my group. Anyway, I agree the place is a horror show of people spending money they don’t have and can’t afford to lose. Casinos are depressing, Las Vegas is the worst city in the US, IMHO, and legal gambling causes more problems than any revenue that may come in and go towards social programs. I think the biggest casino is now in Macau. You can read this New Yorker article on the dirty dealing, huge Republican backing, war mongerer who made his billions there.